WOPW 93.3 FM is a local ministry of Central Baptist Church in Mount Vernon, Kentucky. Well Of Pure Water Radio was started to reach the Mount Vernon area with the Gospel of Jesus Christ. We want to provide a source where anyone can tune in and be able to listen to Gospel messages that will not only encourage the Christian but also challenge them to continue and grow in their walk with the Lord. We also strive to have programs that will keep the Christian informed on current issues and events. 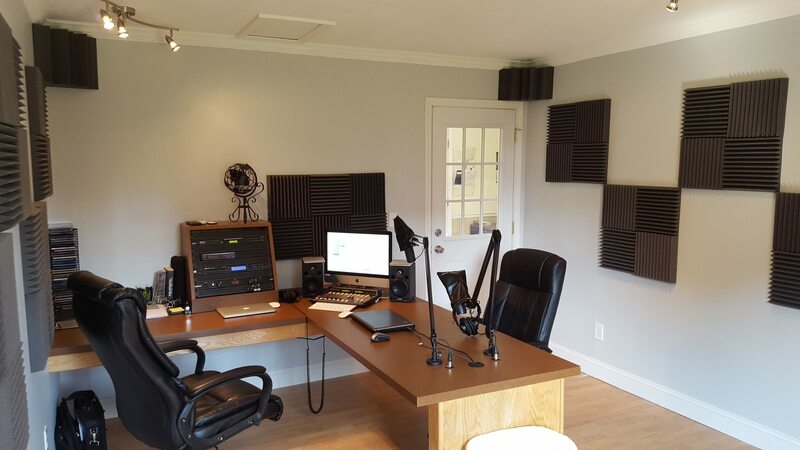 At WOPW our goal is to provide a station where people can tune in and be refreshed in the midst of a troubled and sinful world. We do not strive to "try to fit in" with the world through avenues of compromise or contemporary music but try to encourage the listener to "let the Word of Christ dwell in them richly". 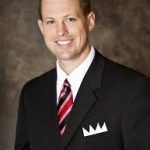 Daniel Skrha is the Station Manager for Well Of Pure Water Radio Mount Vernon, Kentucky and an Assistant Pastor at Central Baptist Church. After graduating from Commonwealth Baptist College in 2013 Bro. Skrha was led to move to CBC to help on staff. Growing up in a Christian home in High Ridge, MO helped lead Bro. Skrha to accept Christ at the young age of four, and his calling to preach in 2004. Bro. Skrha and his wife moved to CBC in the summer of 2013 and have enjoyed being able to help out in various ministries. Bro. Skrha is a bus captain/driver, teaches a Sunday school class, and a Wednesday Evening Class. This 60-second program is a production of Answers in Genesis. AiG is an evangelistic/apologetics ministry dedicated to proclaiming the authority and accuracy of the Bible. They brings this life-changing message to millions each year through our website, family conferences and speaking engagements, magazine, and other resources and materials, in addition to the Answers radio program brought to you right here on WOPW Monday- Friday @ 5:00 PM EST. 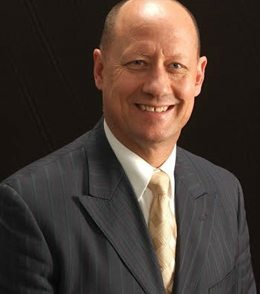 Pastor Jerry Ross will challenge and convict you spiritually to walk the straight and narrow. This program airs here Monday- Friday at 1:15 PM EST. Central Time Radio brings you messages by Pastor Mark Eaton from the pulpit of the Central Baptist Church in Mount Vernon, KY. This 15 minute program airs daily Monday-Friday at 9:15 AM EST. Coral Island Adventures is a dramatized kids program with exciting story line adventures and accurate scientific facts. Coral Island airs every Saturday morning @ 9:30 AM EST on WOPW. The "Creation Moments" daily 2-minute radio broadcast with host Ian Taylor is heard around the world on over 1,300 stations. Each program features scientific evidences of nature that points to design, not evolutionary chance. Creation Moments is headquartered in Foley, Minnesota and is heard on WOPW Monday - Friday at 6:04 AM EST. 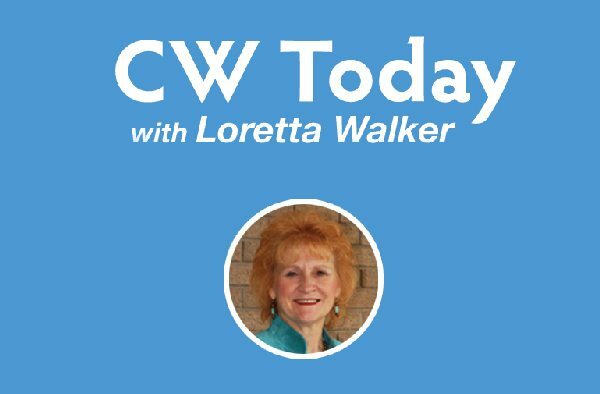 This 5 minute show represents the broadcast ministry of the Christian Womanhood Magazine. Christian Womanhood is a monthly Christian Ladies' Magazine designed to help women with their life relationships. Loretta Walker is the Editor-in-Chief. 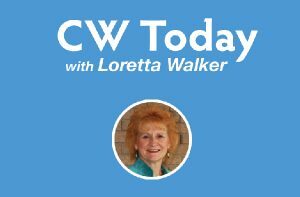 CW Today can be heard on WOPW Monday, Wednesday, & Friday @ 10:05 AM EST. Bro. 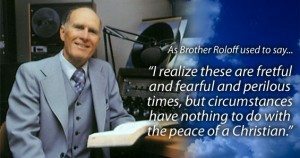 Lester Roloff's program is a daily time of spiritual refreshment, Bible study and prayer. Join us Sunday- Friday at 3:07 PM EST for this 30 minute program to hear the late Bro. Roloff preach powerful sermons that will be a blessing to you. You can also catch a 15 minute version of the Family Altar Program Monday-Friday at 3:00 AM. 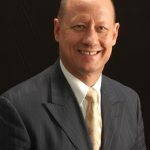 Join us weekdays @ 12:15 PM EST with Dr. Sam Robinson to hear solid Gospel preaching and enjoy hearing various interviews with men of God. 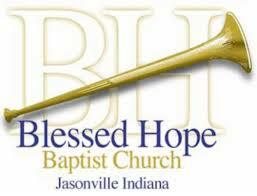 This program, from the pastor of the Arnold Baptist Tabernacle in Arnold, MO, will be an encouragement to your day. Dr. Oliver B. Greene wrote more than 100 books explaining the Bible. During his lifetime, Dr. Greene traveled the world preaching the gospel message in churches, tents and auditoriums. His radio program, The Gospel Hour, is heard nationwide and now worldwide through the internet. You too can hear Dr. Greene preach every day at 2:15 PM EST. The Legal Alert Radio coming from Mason, Ohio is a 90 second radio broadcast hosted by Attorney David Gibbs, Jr. This program airs on more than 1,500 outlets worldwide. 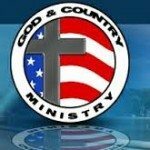 These daily alerts will keep you updated on all the latest issues our ministry is facing, and it will inform you on your liberties as a Christian. 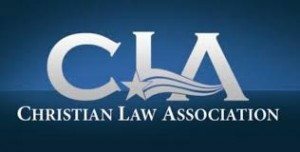 This program comes from the Christian Law Association in Mason, Ohio and is heard on WOPW Monday-Friday at 3:05 PM EST. Moments for Missions is a five-minute daily Monday through Friday radio program produced by BIMI in Chattanooga, Tennessee. The program is heard Monday - Friday at 8:05 PM EST. The Adventures of Patch the Pirate radio broadcast is recognized by the National Religious Broadcasters as being the third largest children’s religious programming outreach. This listener-supported ministry is an exciting 15 minute program that airs every Saturday @ 9:05 AM EST on WOPW. 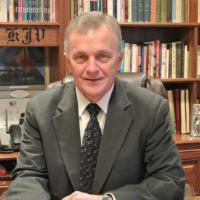 Dr. Jack Trieber, Pastor of North Valley Baptist Church and Chancellor of Golden State Baptist College, will be coming to you every weekday with a special time of revival and enthusiasm that will lift your spirit and encourage your walk with God. We hope you will join us every weekday @ 4:15 PM EST, and allow us to bring a piece of revival into your daily life. The Sowing The Seed Radio Program is a 15 minute program by Pastor Ron Ralph of the Cornerstone Baptist Church in Carthage, TN. Tune in Monday-Friday at 6:15 PM EST & Sundays at 4:15 PM EST for a 30 minute program. Originating from its state-of-the-art international News Center just 10 minutes from the White House and Capitol Hill, SRN News fields a team of the finest anchors and reporters in Christian journalism providing on-the-spot coverage of breaking news from around the world. Written, produced and anchored by respected news pros, SRN News is family-focused and credible — specifically created for Christian-formatted radio stations. 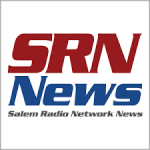 You can hear SRN News Weekdays on the even hours: 2, 4, 6, 8, 10, 12 AM & PM EST. SRN Sports is a 2 minute report that recaps scores from the previous day and also keeps up with headline stories. You can hear SRN Sports News Weekdays after the news at: 8 AM, 12 PM, & 6 PM EST. Striving For Revival Broadcast will be a blessing for those people that have a heart for God and a hunger to see God work in their life. 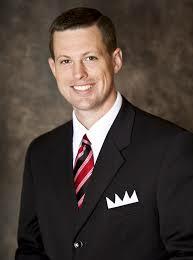 Evangelist Justin Cooper comes to you every Saturday morning at 6:00 AM EST with a challenge to encourage you to stay on the old paths. "Take America Back" is a weekly, 15 minute radio broadcast about current events from a Biblical world-view. It is full of news, humor, and practical steps that patriotic Christians can take to help bring America back to God. This program airs on WOPW every Friday at 5:01 PM EST. It's the longest running radio drama in history; broadcasting for over 64 years, captivating and compelling true life stories from around the world, aired on more than 3,000 radio stations globally, and produced in 14 different language. Recorded and produced in Chicago, Illinois at the Pacific Garden Mission we air Unshackled Saturdays on WOPW at 7:05 PM EST. Pastor Jeff Fugate has been preaching on The Voice since 1995. Tune in to hear old fashioned messages from the Clays Mill Road Baptist Church every Monday-Friday at 11:15 AM EST. Pastor DeWayne Walker joins you every Monday, Wednesday, & Friday at 11:15 PM EST with a challenge for you from God's Holy Word.